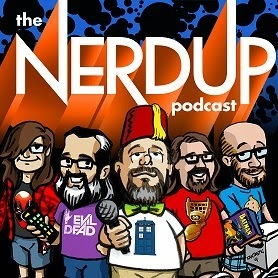 The entire cast of the NerdUp Podcast get together to discuss all things nerdy. Gil T. & Isaac discuss “The Lego Movie,” and then each person with their specialty joins in and lead up to an hour of perfect nerdiness. Eric Billingsly the TV & movie nerd, Brandon Bell the DC comics nerd, Isaac the video game nerd and all headed up by the nerd Ringleader, Gil T. Wilson. Topics discussed include Sherlock, Marvel Avengers Alliance social game, Walking Dead, Gaming of Thrones, Carnage U.S.A, Superior Spider-Man, Man of Steel, Justice League, Marvel Agents of SHIELD and lots more stuff.